Custom Team Jerseys Hot Xmas SALE! Custom Team Jerseys Xmas SALE! Custom Team Jerseys for ANY SPORTS or Company Events Tees (PLEASE ENQUIRE) with Minimum order of 7 pieces per team. Men/ Women / Kids All welcome! Xmas Promo with purchase of 24 set and above! 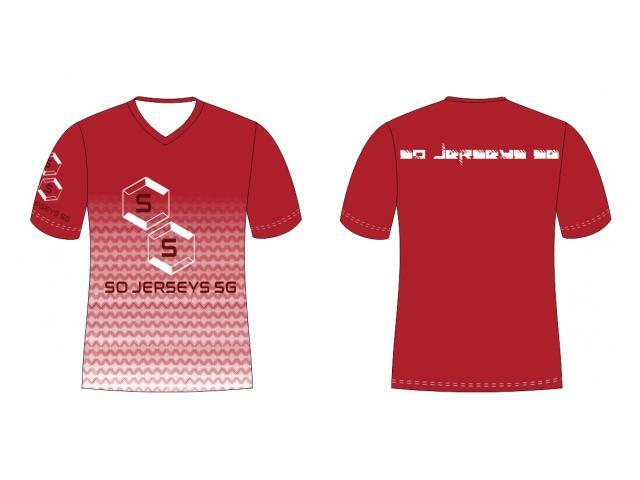 DIY your own Sublimation Jerseys package! Size from XS to 5XL! ( With a minimum order of 24 and above with standard price quoted! )(*Terms and Conditions applies) For better quality printings or embroidery, please enquire for more info. Fully customized sublimations also available!